New energy company BYD confirmed that it has secured a contract to bring the first electric buses to the historic city of Jerusalem. 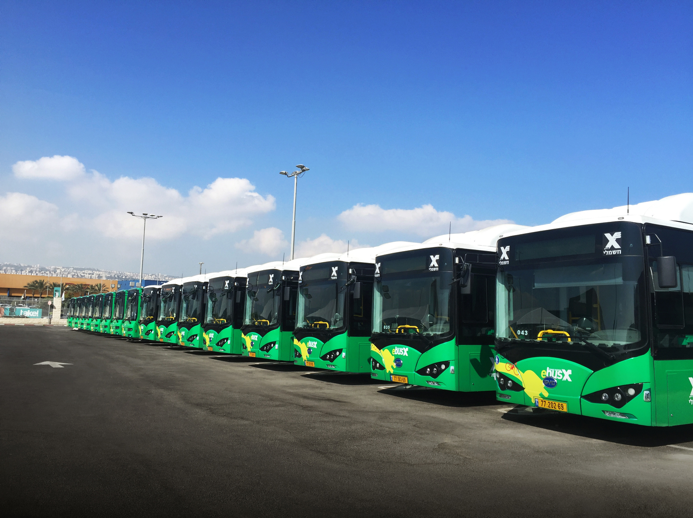 The 7-bus order confirms a tender that BYD won in 2016 and builds on the 17 buses BYD provided to the port city of Haifa in northern Israel. Transit operator Egged has been running the buses in Haifa around the region since the middle of last year, and after spending a few months with the electric buses to see how they performed on the varied landscape of norther Israel, Egged dove back in for seconds. At 800 meters above sea level, Jerusalem is surrounded by mountains, and Haifa proved to be the perfect testing ground for BYD’s ebuses for Egged as it explores the latest electric bus technology from BYD. Looking more broadly at Israel, the Ministry of Transport and the Ministry of Environment are pushing to explore new transit technologies like BYD’s electric buses in a push to add new transit technologies to public transportation fleets across the country. BYD’s proven track record in more than 50 countries around the world in terrain ranging from mountainous to flatland up to the cold northern climes of Canada and down to the arid deserts of the Southwestern United States makes it a reliable supplier for Israel’s transit fleets. BYD’s more than 23 years of experience in batteries backs up its industry-leading warranty that gives buyers more confidence in what, for most buyers, represents a completely new type of vehicle. As new as they may seem, BYD’s electric buses operate very much like their internal combustion counterparts, just without the crazy vibrations from the diesel engines that are synonymous with transit buses in much of the world. The new buses for Jerusalem will be delivered in the first quarter of 2019 and will fly as centerpieces of the green revolution currently sweeping across Israel. “The 17 buses that have been running in Haifa for almost a year are performing very well in the hilly and hot area and we are sure that these seven buses will live up to that,” Isbrand Ho, Managing Director at BYD Europe, said. Looking out across the global landscape, so many countries around the world are primed to adopt electric vehicles – a proposition that is further sweetened by the prospect of 2 and 3 cent per kilowatt-hour utility scale solar. The future is electric. The future is now. Let’s get on it!